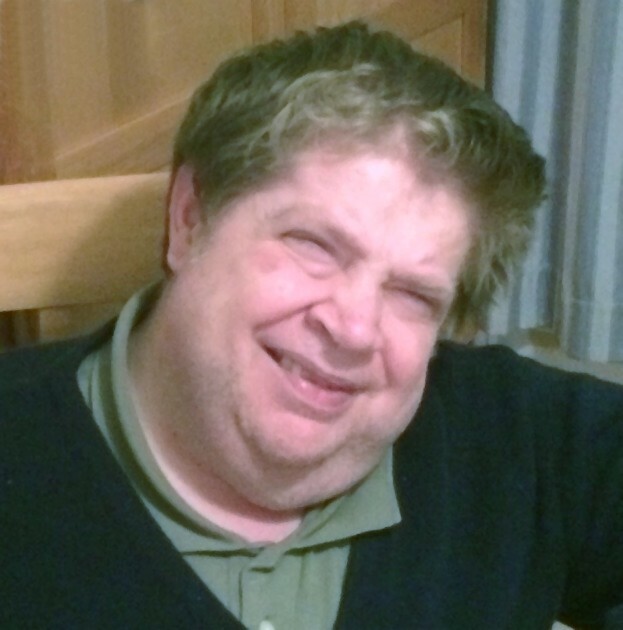 Edward “Ned” Carr, 62, of East Longmeadow, passed away peacefully on Wednesday, January 9, 2019 at CareOne Redstone in East Longmeadow. Ned was born on May 23, 1956, the son of the late Houghton and Mary (Davis) Carr. Blind since childhood, Ned became a master at the art of origami, loved puns and telling stories and was an avid fan of music. Originally from Cazenovia, NY, he graduated from Hoosac School in Hoosick, NY. He lived for several years in West Bath and Westbrook Maine before moving to East Longmeadow. He was a volunteer tutor with the English as a Second Language program and at various children’s camps and schools. He was a life-long member of Origami USA and a devout member of several Episcopal churches. Ned is survived by his stepmother, Jennifer Carr of Exeter, NH, his sister Molly Jones and her husband Michael of McKinney, TX, his brother David Carr and his wife Lisa of Auburn, NY., and his sister Marjorie Murray and her husband Rick of East Longmeadow, MA. He also leaves four nephews each of whom he was very proud: Davis Jones, Jameson Carr, Nicholas Carr and Eric Murray. Family and friends will gather to celebrate Ned’s life at 12:00pm Saturday January 26, 2019 at St. Andrew’s Episcopal Church, 335 Longmeadow Street, Longmeadow, MA, 01106. Burial will be private at a later date in Orchard Hill Cemetery, West Bath, ME. The family would especially like to thank the caring and special people at CareOne Redstone, the Medical Staff of Baystate Hospital Daly 6, and the amazing team from Ascend Hospice for their ongoing support and care of Ned. In lieu of flowers, donations would be greatly appreciated to: OrigamiUSA, 15 W. 77th St., New York, NY 10024, OrigamiUSA.org\donate; or to: Ascend Hospice, 100 Locke Dr., Marlborough, MA 01752.